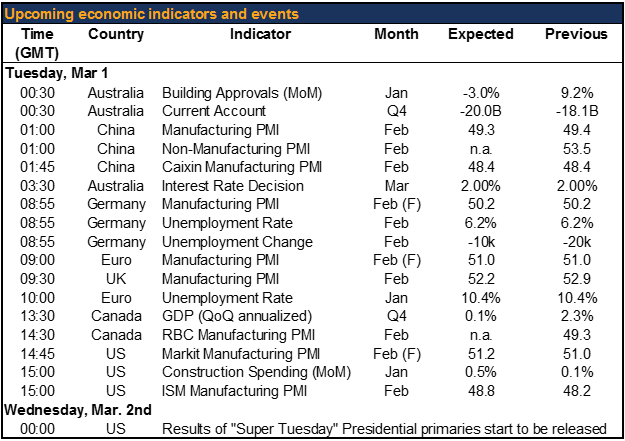 A lot of important information out today, but some of the most important – the Chinese PMIs and the Reserve Bank of Australia decision – are out already. 08:55 GMT German unemployment (Feb), final manufacturing PMI: The unemployment rate is expected to stay steady at 6.2% with the number of unemployment claims continuing to fall. Germany is an outlier in Europe though as most other EU countries have much higher unemployment. (The median level in the countries with over 1mn population, excluding Germany, is 9.8%.) 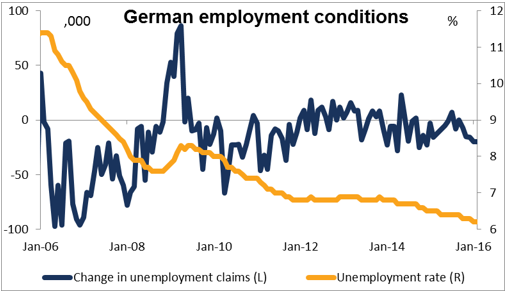 Nonetheless, continued low unemployment in Germany would probably be somewhat supportive for EUR. The EU unemployment rate for January comes out about an hour later, but that is less relevant for the markets as it’s a month behind. The final German manufacturing PMI for February will be released at the same time. As always, the forecast is the same as the preliminary figure. 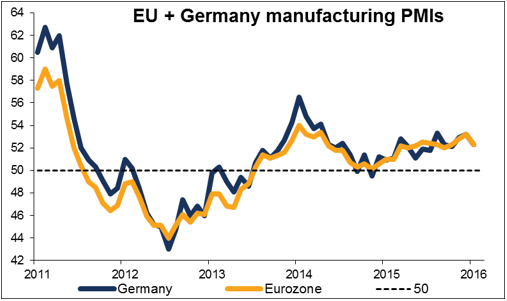 09:00 GMT EU final manufacturing PMI (Feb):As with the final German manufacturing PMI, the market forecast is the same as the preliminary index.